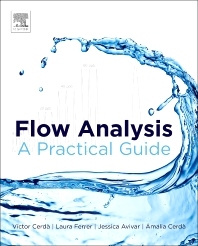 Flow Analysis: A Practical Guide reviews flow techniques for automating chemical analysis with the goal of increasing efficiency and producing better analytical results. Various applications for flow techniques are reviewed including industrial process monitoring (for example, foods and beverages, drugs and pharmaceuticals); as well as agricultural, life science, radioactivity, and environmental analysis with an emphasis on the latter. This book is a valuable resource for young scientists or graduate-level students who want to learn how to introduce flow techniques into their experiments, and for experts who need specific and technical details to develop complete experimental systems. Prof. Dr. Víctor Cerdà-Martín graduated from the University of Barcelona (Spain) in Chemistry where he also obtained his PhD in Chemical Sciences. He leads the Laboratory of Analytical and Environmental Chemistry in the University of the Balearic Islands, and the group of Analytical Chemistry, Automation and Environment since 1984. 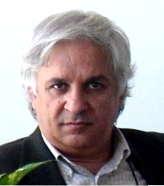 His main line of research has been focused in the development of automated methodologies of analysis based on flow techniques and their application to the determination of parameters of environmental interest. He is the editor, author, and co-author of more than ten books, fifteen chapters, and 500 research articles in international journals and has supervised more than 30 doctoral theses. He has acted as the principal researcher of more than 25 research projects since 1985, including the COMETT II Project of the EU that lead to the creation of the “European School on Environmental Sciences and Techniques”. He has been Vice-Chancellor of Scientific Policy and Innovation in the University of the Balearic Islands. He is also the head and founder of the University spin-off Sciware Systems, S.L., devoted to the development of new automated analytical solutions, and the President of the Association of Environmental Sciences and Techniques (AEST). Dr. Laura Ferrer-Trovato graduated from the National University of Mar del Plata (Argentina) in Biology and obtained a PhD in Biological Sciences from the Southern National University (Argentina). Since 2001, she completed her second PhD in Chemical Science and Technology from the University of the Balearic Islands (Spain). She has written four book chapters related to environmental monitoring. Dr. Ferrer has published more than 30 research articles and presented more than 70 contributions in international conferences related to the environment, automation, and radioactivity. She is Head of the Laboratory of Environmental Radioactivity (LaboRA) and a member of the University spin-off Sciware Systems, S.L. Dr. Ferrer is responsible for supervising a number of PhD and masters theses in the field of automation and environmental monitoring. Dr. Jessica Avivar-Cerezo graduated from the University of the Balearic Islands (Spain) in Chemistry, where she also obtained her PhD in Chemical Science and Technology. She is co-author of a book chapter related to environmental monitoring. Dr. Avivar has published more than 10 research articles in international journals and has presented more than 20 contributions in international conferences related to the environment, automation, and radioactivity. 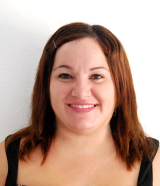 She is a researcher at the University of the Balearic Islands, secretary of the Laboratory of Environmental Radioactivity (LaboRA), and a member of the University spin-off Sciware Systems, S.L. Her research has mainly focused on the development of automated approaches for radionuclides environmental monitoring. Dr. Amalia Cerdà-Lacaci graduated from the University of the Balearic Islands (Spain) in Chemistry where shw also obtained her PhD in Chemistry. She is co-author of two books and two book chapters related to the automation of analytical methods. She has published more than 10 research articles and presented approximately 30 contributions in international conferences related to the environment. She has participated in several research projects of the European Union, Spanish, and Autonomic Governments. She has been a professor lector at the University of the Balearic Islands in the Chemistry Department and is now the head of the Environmental and Quality Department of TIRME S.A., the company responsible for the urban solid waste management of Mallorca. She is in charge of the design, development, and implementation of integrated management systems in the company.